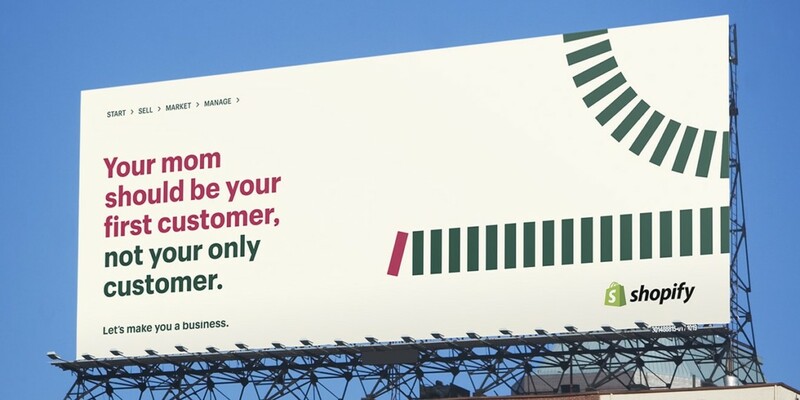 Ecommerce service Shopify's first campaign targets scrappy entrepreneurs looking to turn passion into profit. 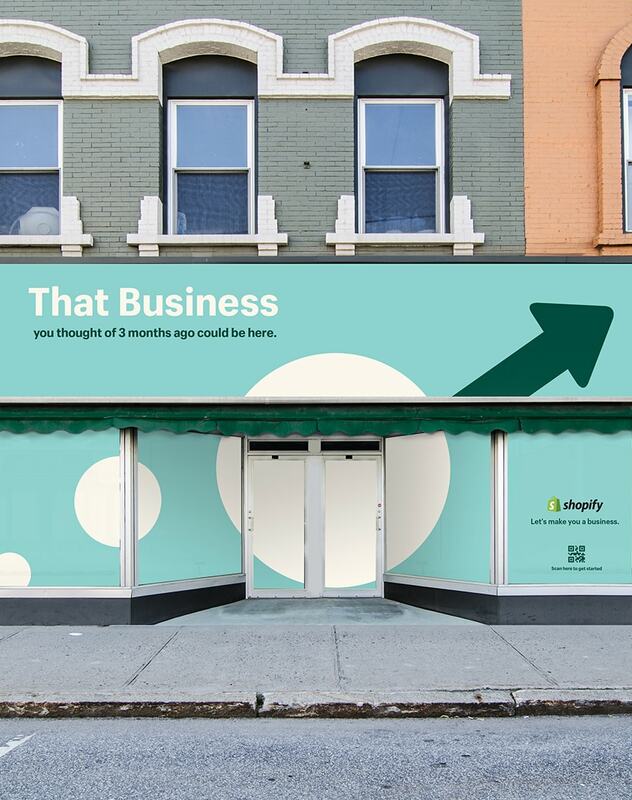 Shopify has become the go-to ecommerce platform for hundreds of thousands of businesses, but with its first brand campaign, the Ottawa-based company is aiming to convert a new swath of makers into entrepreneurs. 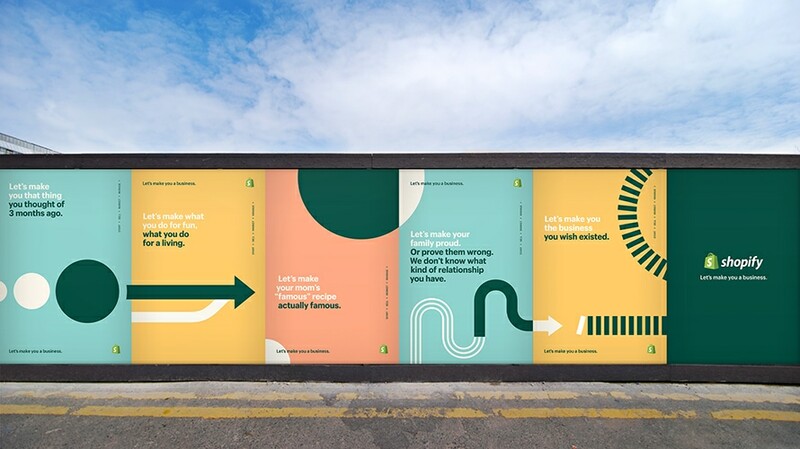 With lighthearted lines like “Let’s make your mom’s ‘famous’ recipe actually famous,” the outdoor-heavy campaign was developed through a partnership between the platform’s in-house creative team and agency R/GA. 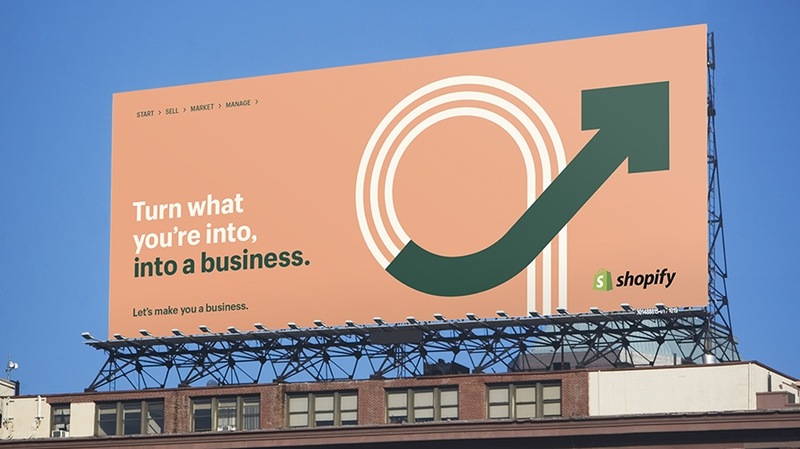 The campaign’s visual motif prominently features dots and arrows, meant to represent the gradual process of turning an idea or passion into a sustainable business. 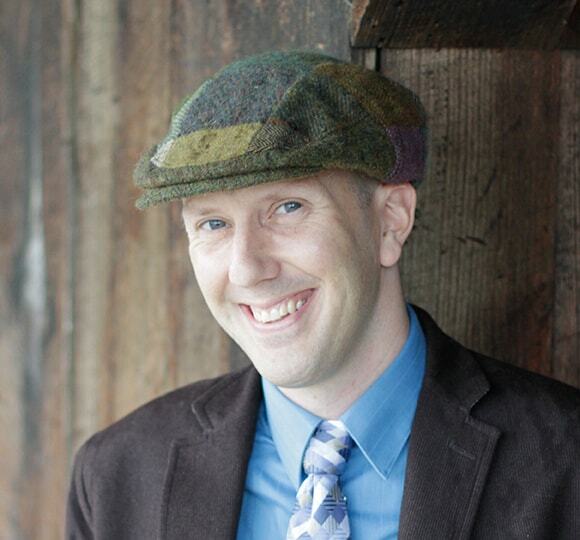 This is the company’s first foray into brand marketing as it enters what appears to be a new era of ecommerce. In addition to the out-of-home work above, the campaign will feature TV, digital video and radio.